@Regrann from @urgentdogsandcatsofmiami – Judging from his number, this handsome fella is no stranger to this shelter. It seems he was surrendered, by the same adopters that adopted him way back when. 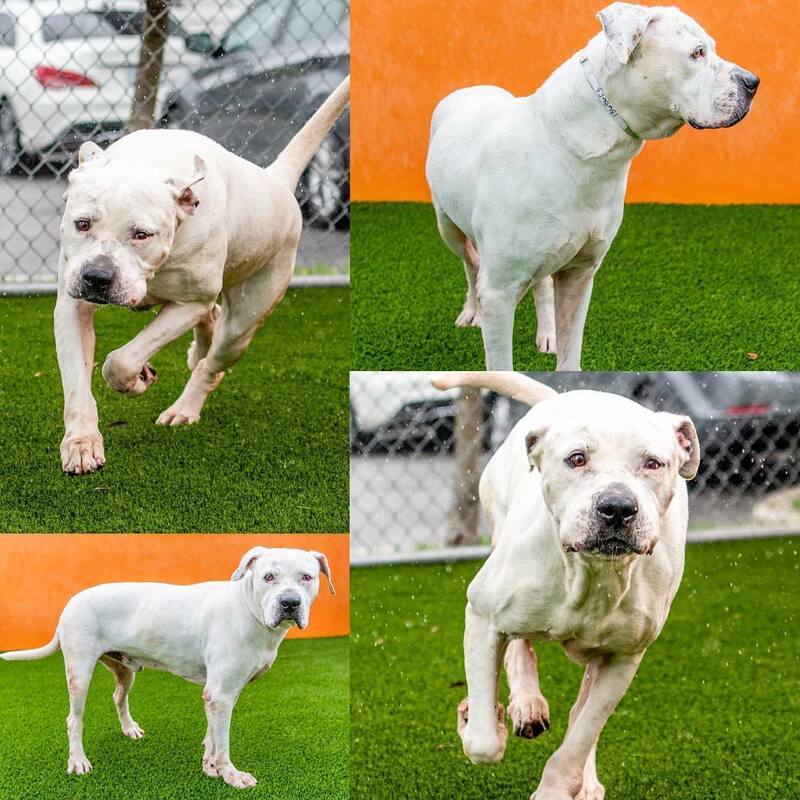 Now this stud Tank #A1368653, who’s approximately 8 years old, and weighs 87 pounds, ‬must compete with the younger American Bulldogs, at this same shelter. Let’s help him, by sharing far and near. The only hope he has us us. @sit.snap.save . Contact: 📝Pets@miamidade.gov with A#, to check: availability/status/request medical records. Miami-Dade Animal Services, 3599 NW 79th Avenue, Doral, Florida 33166 or call 305-884-1101. ✈️🚌 For information on transportation, DM us, please don’t allow a little distance stop you from saving this baby’s life.